Every year, the Dutch celebrate their monarch’s birthday, a national holiday, by throwing a huge outdoor party. In Amsterdam, the celebration always gravitates to the city’s canals, which become choked with reveler-laden boats. The vessel of choice for this national holiday is a retired ship’s lifeboat, or sloep. Sloeps are purpose-built for carrying capacity and stability at sea, a combination the Dutch recognized as the perfect party platform. Sloeps are slow, but Dutch-born industrial designer and entrepreneur Meindert Wolfraad wanted to add speed to the double-ended design. Meindert lives in Sydney, Australia, where there’s a penchant for speedboats. So, he commissioned the Lekker Damsko. Although inspired by the sloeps, the Damsko is neither heavy, nor sluggish. Built of aluminum, the hull has a fine entry at the bow that flattens out toward the stern. 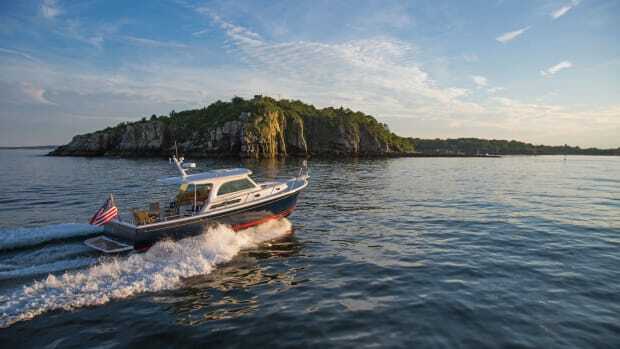 Capable of comfortably carrying up to 40 people, the Damsko 1000 can be outfitted with a single diesel engine up to 370 horsepower or a gasoline sterndrive up to 430 horsepower and can reach up to 42 knots. Alternative energy drives are also available. 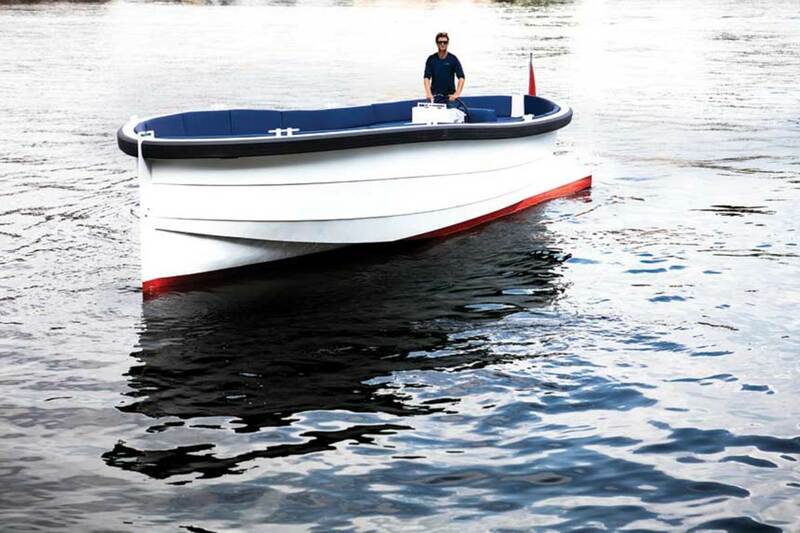 At a little over 7,000 pounds, less than a third of the weight of a 30-foot lifeboat, the Damsko is fast and seaworthy. 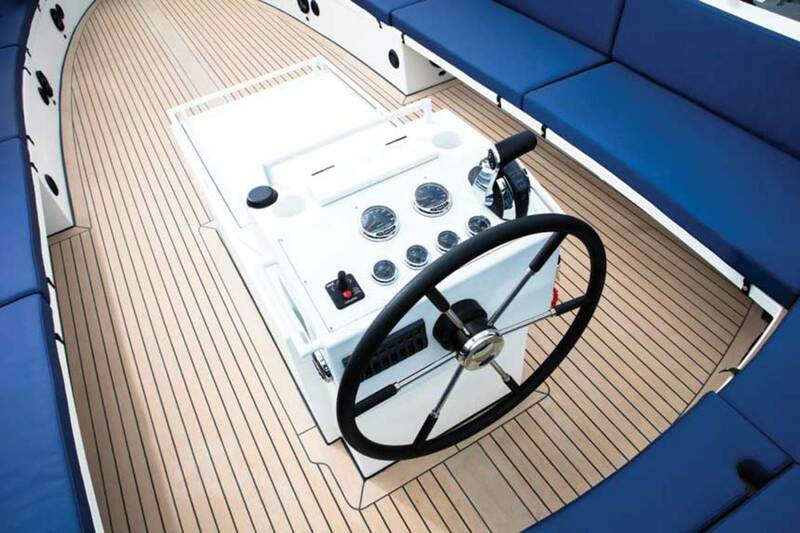 With its high freeboard, self-draining deck and built-in positive flotation it is also capable of handling coastal waters. The Damsko can be used for a day cruise with a large group of family and friends, waterskiing or tubing, or to go for a high-speed run. Lekker also makes a 25-foot Damsko 750 edition that can handle up to 25 people. 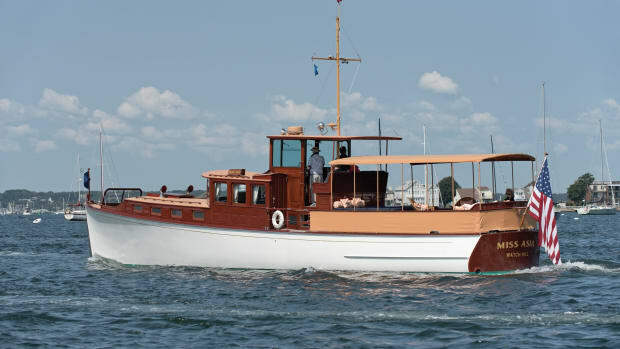 Tommy Hilfiger had two Lekker Damskos 1000s built and uses them for business entertaining. Both the 1000 and 750 models can be highly customized with cabins, Biminis, heads, high-end sound systems and other options. The brand’s name derives from the Dutch word lekker, which has multiple meanings. The closest equivalent English word is luscious, but lekker also means cool (as in hip), comfortable (as in cozy) or delicious (as in flavorful). If you like boating and a party, plus a solid dose of speed, odds are you will think the Damskos are lekker. 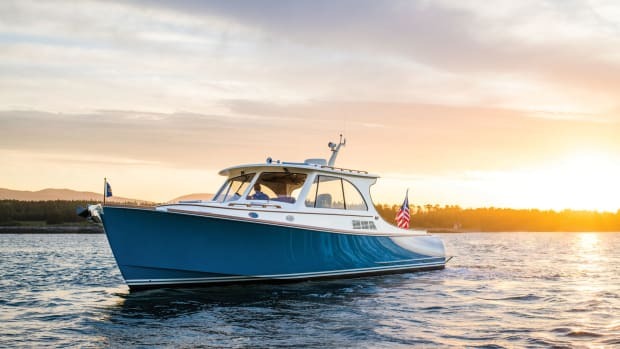 Hinckley's Picnic Boat 40 is the latest iteration of the builder's iconic and best-selling design. Come along as Pim Van Hemmen gets a ride. Pim Van Hemmen runs Back Cove’s 34O from one side of New York City to the other, reminiscing about the route he used to sail as a young man. 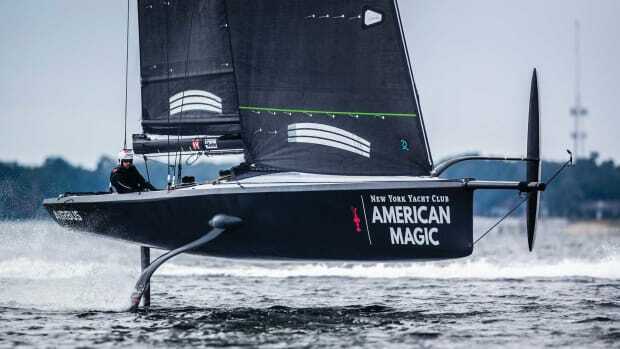 Foils on racing monohull sailboats are a high-tech trend, but are these designs relatable to the recreational sailing crowd? 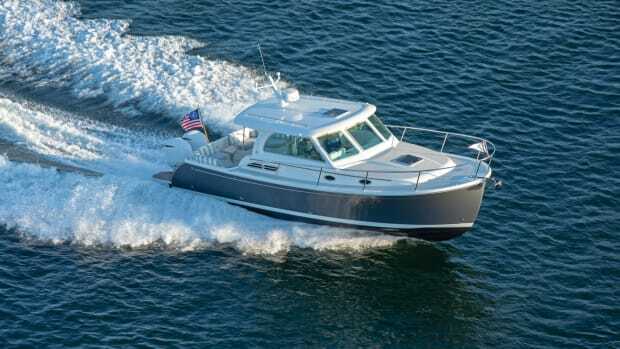 Modern tenders might be outfitted with 1200 or more horsepower and be capable of speeds of 50 knots or more. 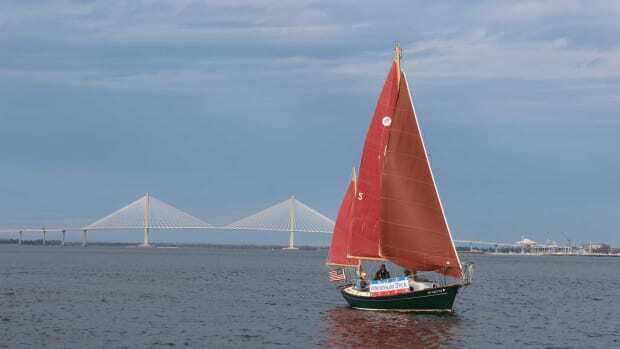 In an effort to get veterans with post-traumatic stress disorder back into society, a doctor discovered that sailing was the perfect prescription. 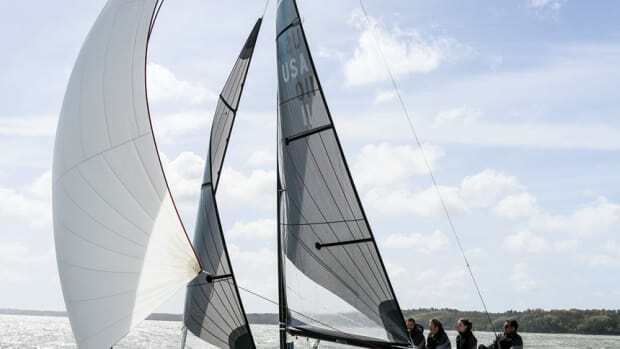 The RS21 combines modern tech with good, old-fashioned design sense in a keelboat that is fast, affordable and fun to sail. Boats. Lots of boats. 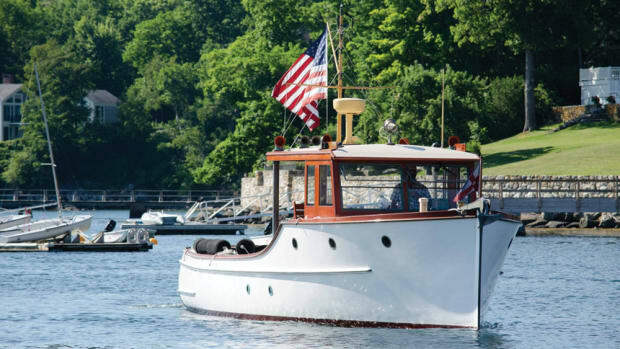 Lots of beautiful, classic and antique boats will be on display at the 36th Annual Antique and Classic Boat Festival.